A funny thing happened to me recently while I was reporting a story for Entrepreneur.com on what insurance you need for your home-based business. I found some experts and got great advice on the types of policies available, and the coverage you need to protect your personal assets from a customer lawsuit. In the process, I found out something important: I needed this insurance for my business. I was crazy not to have it. I've been a freelance writer since 2005, and freelancing is a booming business at my house these days. Activities now include my husband's videography business, which involves more than $10,000 worth of videography equipment he uses to make videos both for my websites and for other clients. It's all sitting around in the house. Customers sometimes come to over to look at their footage, and business deliveries arrive, too. Then of course, my husband goes out to clients and public locations to shoot videos. In other words, it's liability city. None of this stuff is covered by our homeowners' insurance policy, I learned. "If a UPS man slips and falls on your porch making a business delivery, you have no coverage," one expert told me. The video equipment could be stolen, or lost in a fire or earthquake. Video equipment could be damaged or stolen on location. Clients or delivery men could slip and fall on our property. I learned there are three basic types of coverage, two of which are too rudimentary for anything but a hobby small business. 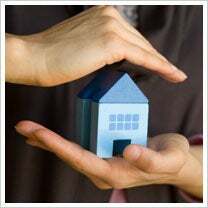 Adding a rider to your home insurance covers only a few thousand dollars of losses, for instance. For most of us, the answer is a Business Owners Policy. It costs about $500 and gives you $2 million of coverage against loss, theft, injury and other liability. Pretty affordable for what you get. It took minutes to call my homeowners' insurance company and get them to draw up a BOP for me. And, hey, it's a writeoff. The last thing I learned about getting business insurance: It can help your business land big clients, too. I just got a freelance-writing job with a major government agency, and they required that I show proof of insurance. Without it, I wouldn't have been able to get a contract worth over $10,000. So not only do I sleep better now knowing we're protected from potentially losing our home in a customer lawsuit, but I've got more cash flow. Seems like a win-win. Do you have insurance for your home business? Leave a comment and let us know if you're covered.